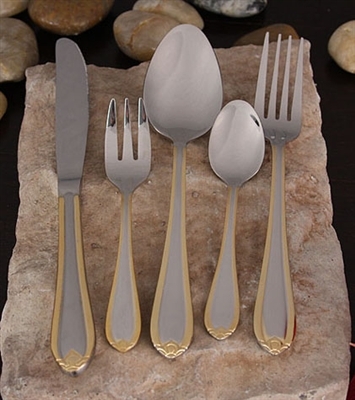 Dress your table to impress with this elegant 84 piece with gold accent. Complete for 12 flatware set! This set comes complete with everything you need to entertain. Keep your set in perfect condition with the wood case included in the set.